At 9:50 pm, March 21st 2006, Jack Dorsey sent the very first Twitter message. Since then, Twitter has become a phenomenon and grown into one of the most popular social media communities and websites on the internet. Not only is it a great place to connect with friends and family, it is also the perfect tool for marketing your business and reaching new customers all around the world. The reason why Twitter is such a success is because it is so easy to use. Unlike other sites, you don’t need to set up detailed profile pages or post long-winded updates on your account. You simply tweet out a 140-character update, which then leaves you plenty of time to focus on your business while still taking advantage of the massive potential on Twitter. Growing a loyal following on Twitter is also very easy. In this article, we will show you how to set up an effective marketing campaign on Twitter that will significantly increase your profits and maximize your exposure. It all begins with your Twitter profile. Your profile is the place where potential followers go to learn about you and what you have to offer. It is just a simple one-page outline that includes a short bio and your website address so potential clients will know where to go if they want to purchase your products or services. Because your profile page is prime real estate, it is vital that you make it work for you. Set up your page so that those visiting your profile page will be motivated to follow you. You can do that by including a direct link to a specific page on your website that offers free, relevant content. Most people make the mistake of trying to sell their services or products immediately from this page. However, the most effective campaigns begin with establishing yourself within your market, and you do that by offering free, quality incentives that they sign up for. This allows you to be able to keep in touch and build a relationship with them so that they will by from you in the future. Create the landing page exclusively for those visitors coming from Twitter. This will give you the opportunity to personalize their experience and to connect with them on a deeper level. Ensure that your personality comes across on the profile page. Be genuine and friendly and offer something useful and informative based around your niche. A picture of your face is also recommended as it helps establish trust with your followers. Many businesses seem to forget that Twitter is a social network and most users go on Twitter to learn more about others who share their interests and passions. They generally don’t go on to buy products or sign up for offers, so you need to be smart and take an indirect route in order to really maximize your income and stand out in the marketplace. The way to do this is to create a newsletter focused around your niche topic. Then, set up a simple squeeze page that offers the newsletter, a report or even a full-length informational product as an incentive for people to subscribe. Your subscribers will then receive instant access to your incentive offer once they confirm their requests to subscribe to your list. The next step is to build relationships with your subscribers, and you do this by following up with additional free content and resources. Try to resist sending out promotional based offers until you have established a rapport with your readers and connected with your audience. People need to trust you and see that you offer professional, relevant information that they are interested in. Building trust and proving that you can deliver quality information takes time, but if you can deliver results before recommending a product or service, it will only make your recommendation far more effective when you eventually do promote something. Don’t worry if you don’t have time to create your own content, as there are lots of places that you can outsource the tasks. To get the most potential, make sure that you include a direct link to your squeeze page right on your Twitter profile account and then once you have established a following, you can start to post updates on your website so that you can begin directing traffic there. Make sure that your opt-in form appears on every page of your site and blog. It may seem strange to create a squeeze page and blog first and then look to find followers on Twitter but it actually makes good business sense. It is far easier to establish a following within Twitter when you have something to offer. Not only that, but if you are just starting out on Twitter and people see that you don’t have many followers, they might be hesitant about following you themselves. But if you have established a website, blog, or squeeze page and you have somewhere to direct your followers, it makes it a whole lot easier to achieve the success you are looking for on Twitter. 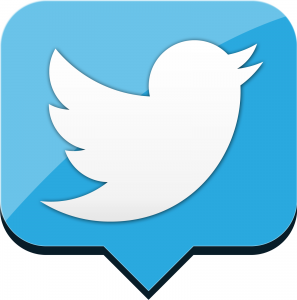 To give your Twitter account a jump-start, begin by incorporating your existing email contacts into Twitter. You will be surprised how many of your email contacts are using Twitter and because they are already familiar with you, they will be far more likely to follow you. When it comes to writing your Tweets, don’t spend a lot of time worrying about whether it’s creative, witty, or interesting enough as your posts will be too self-conscious. Once you have become an active member of the Twitter community, you will find it much easier to think of entertaining, useful Tweets and you will also be able to respond to ongoing discussions from those who you follow and who follow you. So, in the beginning, just post whatever is on your mind. If you are doing some work within your business or bricks and mortar store, post about it. If you read some interesting news about something in your industry, write about it. If something made you smile or angry today, tell them about it. The idea is to be consistent and post often enough so that you become comfortable with the Twitter system, and more importantly so that your profile page shows some activity before you start inviting people to follow you. Once you have posted your first Tweet, it is time to start following people on Twitter so that you can build up your Twitter presence and encourage people to follow you in return. The way to do this is to take the time to talk to people individually by directing messages to specific people. In addition, post useful information or links to free products or resources that people in your various niche markets would appreciate. Just as you would in your offline business, you need to develop a reputation on Twitter as someone who is interested in helping others, while developing our own Twitter presence. The great thing about Twitter is how easy it is to quickly locate other people who are involved in your target market or industry. You will be able to find people who share an interest in nearly every topic and subject online, no matter what niche you are in. Think of it as being like a Rolodex of the entire online business industry, and as Twitter continues to grow, more and more people are jumping on board, so it is constantly evolving and becoming easier to interact with your target audience. Twitter is all about building connections and relationships and Twitter helps you do just that. You will soon be able to engage with your followers and make friends so that they will be more likely to buy your products or services. However, if you just see your Twitter followers as a cash cow there is a good chance that you won’t make any money, as you will be less inclined to engage with them and offer valuable and interesting information. Instead, focus on adding value to Twitter. Talk to people, Retweet others who Retweet you, share cool content and people will start noticing you more and more. The demand for social media grows every day and it is evolving all of the time. It is part of everyday life for most people, including your customers and they expect you to be there. Smarter and more innovative businesses know that the power of social media is what their business needs to make their customer base explode, to increase the brand exposure, improve client loyalty, and save money in the process too! However, running a social media campaign can be quite daunting and time-consuming for some business owners, particularly if they are running their busy offline business as well. Many businesses have approached us to do Twitter Management, Facebook Management, or Social Media Management as a whole because they either don’t have the time or don’t know where to start. We have numerous packages for you to choose from to suit every sort of business imaginable. We also offer social media training so you can manage your social media campaigns yourself. If you would like to know more about how we can use Twitter to help promote your business, please don’t hesitate to contact us today.